Greg was the founder of Wm. 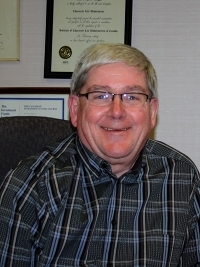 Gregory Boggs & Associates and entered the Financial Services Industry in 1974 helping people to address their Life Insurance and Disability concerns. Over the years the practice has grown to include a variety of Life and Health Insurance Products along with a wide variety of Investment products. During his time with Boggs Financial Greg invested his and energy growing his knowledge which led him to take courses and attain the designations of Chartered Life Underwriter, Chartered Financial Consultant and Chartered Financial Planner. From a community service perspective Greg was a member of the Arthur Optimist Club holding past offices of Secretary, Treasurer and President. Greg was also a member of the Prince Arthur Masonic Lodge and served as Master in 1999. For many years Greg coached both Minor Hockey and Lacrosse and continued to support all minor sports in the area thru the years. Greg also had the opportunity to serve on Arthur Village council during the period of amalgamation into Wellington North. Greg passed away in late March 2016 after suffering complications of a broken heart due to the loss of his Best Friend, Wife and Life Partner Barb. His legacy has and will be continued in our community by Tim and Becky and that dedicated staff at Boggs Financial. Barb’s position at Boggs Financial was to oversee staff and client relations and she was also responsible for managing the financial administration and back office initiatives. Barb worked side by side with Greg over the years helping to grow the business. Barb began her financial services career in banking, and then moved into the Insurance Industry. 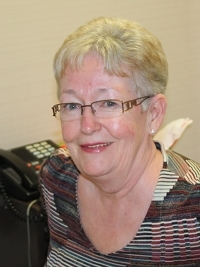 Barb served as President of the Arthur Area Ladies Curling League, and also held many positions in the Arthur Opti-Mrs Club, Arthur Minor Hockey and Lacrosse. She enjoyed spending time at the cottage, travelling and playing golf.